When it comes to giving the best for your kids, nothing can beat mother's milk. I do remember way back in 2000, (I was naive about breastfeeding), I was getting ready to go to work but I couldn't find any infant milk as a substitude. My instinct was nothing was better than breastmilk. So I decided to do a research on how to make breastfeeding work when I have to go back to work. So my hunt for a perfect tool begun. I was looking for a breastpump to help with pumping the milk when my baby was not around. My first thought was every pump was created equal. Boy, was I wrong! I think I've spend like thousands of ringgit just to find the perfect pump. At the end I discovered Avent Breastpump. It was exactly what I was looking for. # 5) I love the avent bottles. I usually will keep a stock of them for my baby needs. 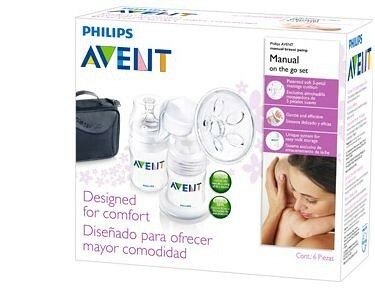 I saw that Avent breastpump also has an electric version. I will definitely try it if it's quiet and can pump two times faster than the manual pump.